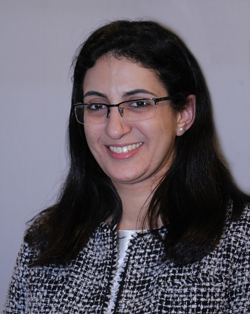 Dalia Hussein was a legal advisor at the Centre since 2014. She is a Lecturer at the Faculty of Law, Commercial Law Department, Zakazik University. Before joining the Centre, Dr. Hussein worked as an Administrative Prosecutor in Cairo for many years, during which she was seconded at the Department of International Cooperation at the Ministry of Justice. After her resignation, she was a practicing lawyer in an arbitration law firm based in Cairo where she represented states and private parties in complex commercial and investment disputes before many institutions including CRCICA, ICSID, and DIAC. She also taught Business and Contract Law at the French and British universities in Egypt and International Commercial Arbitration for LL.M students at the French Section of the Faculty of Law- Ain Shams University. She was a visiting scholar at Lyon III University in 2005 and worked as an external legal expert for Arab and Islamic laws at the Swiss Institute of Comparative Law. Dr. Hussein participated as speaker in many conferences and has several articles published in learned Egyptian and international journals. She holds a Maîtrise en Droit from Paris I-Pantheon-Sorbonne University, an LL.B. from Cairo University (2000), an LL.M. in International Law from Paris II-Pantheon-Assas University (2001), an LL.M in Private Law from Cairo University (2003), and a PHD in International Arbitration from Cairo University (2007).